Semiconductor nanocrystals and metal nanoparticles are the building blocks of the next generation of electronic, optoelectronic, and photonic devices. 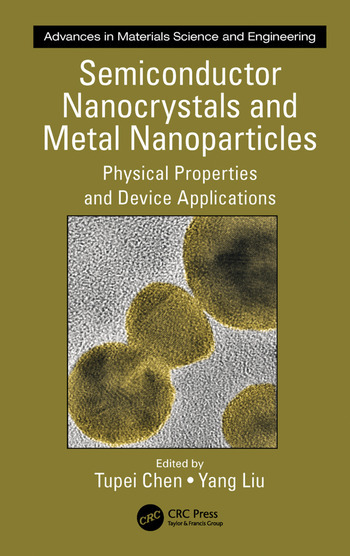 Covering this rapidly developing and interdisciplinary field, the book examines in detail the physical properties and device applications of semiconductor nanocrystals and metal nanoparticles. It begins with a review of the synthesis and characterization of various semiconductor nanocrystals and metal nanoparticles and goes on to discuss in detail their optical, light emission, and electrical properties. 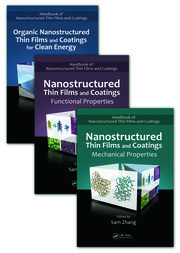 It then illustrates some exciting applications of nanoelectronic devices (memristors and single-electron devices) and optoelectronic devices (UV detectors, quantum dot lasers, and solar cells), as well as other applications (gas sensors and metallic nanopastes for power electronics packaging). Focuses on a new class of materials that exhibit fascinating physical properties and have many exciting device applications. Presents an overview of synthesis strategies and characterization techniques for various semiconductor nanocrystal and metal nanoparticles. 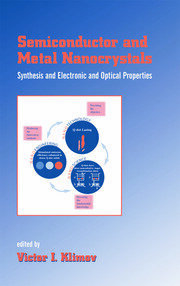 Examines in detail the optical/optoelectronic properties, light emission properties, and electrical properties of semiconductor nanocrystals and metal nanoparticles. Reviews applications in nanoelectronic devices, optoelectronic devices, and photonic devices. Tupei Chen received his PhD from the University of Hong Kong, Hong Kong, in 1994. He is currently an associate professor in the School of Electrical and Electronic Engineering, Nanyang Technological University, Singapore. His research areas include electronic and optoelectronic/photonic applications of nanoscale materials, novel memory devices, memristors and applications in artificial neural networks, Si photonics, and metal oxide thin films and applications in flexible/transparent devices. He is the author or coauthor of more than 250 peer-reviewed journal papers, more than 120 conference presentations, and 6 book chapters. He has filed several U.S. patents. He has supervised more than 20 PhD students and over 10 postdoctoral research staff. Yang Liu received his BSc in microelectronics from Jilin University, China, in 1998 and his PhD from Nanyang Technological University, Singapore, in 2005. From May 2005 to July 2006, he was a research fellow at Nanyang Technological University. In 2006, he was awarded the prestigious Singapore Millennium Foundation Fellowship. In 2008, he joined the School of Microelectronics, University of Electronic Science and Technology, China, as a full professor. He is the author or coauthor of over 120 peer-reviewed journal papers and more than 80 conference papers. He has filed one U.S. patent and more than 30 Chinese patents. His current research includes advanced memory devices and their applications in artificial neural networks, RFICs, and photonic/optoelectronic devices and ICs. "It is a good book, reflecting the latest progress in the multidiscipline field of semiconductor nanocrystals and metal particles to some extent." 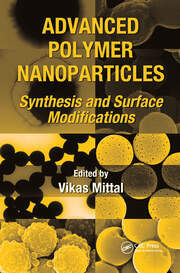 "A great book in nanocrystals and metal nanoparticles; A must have if you are into semiconductor physics and devices."